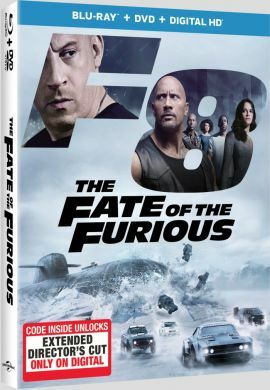 Since the Fast & Furious serious changed its direction with Fast Five, the policy for home theaters releases changed as well. Since the 5th installments, there is always the regular Theatrical Version and in addition to that, a longer Extended Version on Blu-ray. The Extended Version does not reinvent the wheel but it does not contain the alterations which were required in order to get the PG-13 rating for theaters either. The Fate of the Furious is no exception. But while the content has not changed that much, the company policy regarding the home theater release has changed and fans will probably not like it. One might get the impressions that studios intend to make a physical release not cool anymore - at least in the US that is. For that reason, said Extended Cut will be not be available on Blu-ray - only digitally. The code is supposed to be inside the Blu-ray with the Theatrical Version.